Taking into account the importance and topicality of environmental problems, the SFTC Ukrinterenergo concentrates its efforts on their solution. Together with Energomashengineering Consortium Ltd. and other partners the environmental project for installation of Ukrainian next generation precipitator at 200 MW power units of Burshtyn TPP has been realized. In the framework of this project from 2003 till 2007, the old precipitators at the units Nos. 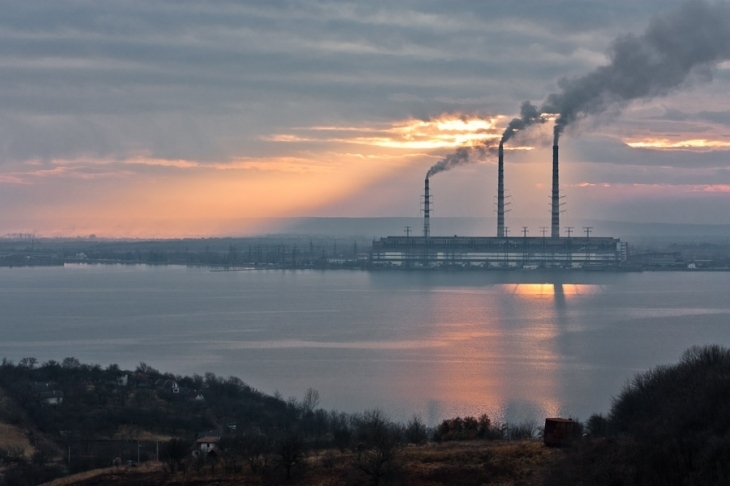 11, 10 and 9 of Burshtyn TPP have been replaced with the next generation precipitators manufactured in Ukraine and meeting the requirements of up-to-date air emission standards. These next generation precipitators were designed by Energomashengineering Consortium Ltd. (Zaporizhia) while the design of precipitators’ integration into the power unit cells was made by OJSC Lvivteploelektroproekt Research, Planning and Surveying Institute. The precipitator is meant for high-ash flue gas purification. The optimum section of discharge and precipitating electrodes combined with the reduced pole separation as well as the availability of precharge and trapping system provide for effective flue gas purification. The dust concentration level in flue gas after purification conforms to European standards. In 2005-2007, SFTC Ukrinterenergo jointly with OJSC PTEM Lviv Erection Department, Energomashengineering Consortium Ltd., OJSC LvivORGRES, and Snabresurs Corporation (Russia) implemented the project for reconstruction and technical re-equipment of unit No. 9 at Burshtyn TPP. The works performed by Ukrinterenergo included the deliveries of power equipment, i.e. smoke exhausters, reconstruction and erection of boiler equipment, technical re-equipment of monitoring and control system (MCS) based on up-to-date hardware and software complex (HSC). Technical re-equipment of MCS enabled participation of unit No. 9 in control of power system technical parameters, as well as improvement of the unit’s load control rate and its reliability.